Today’s special is Olivia’s Peppadew Western Burger. 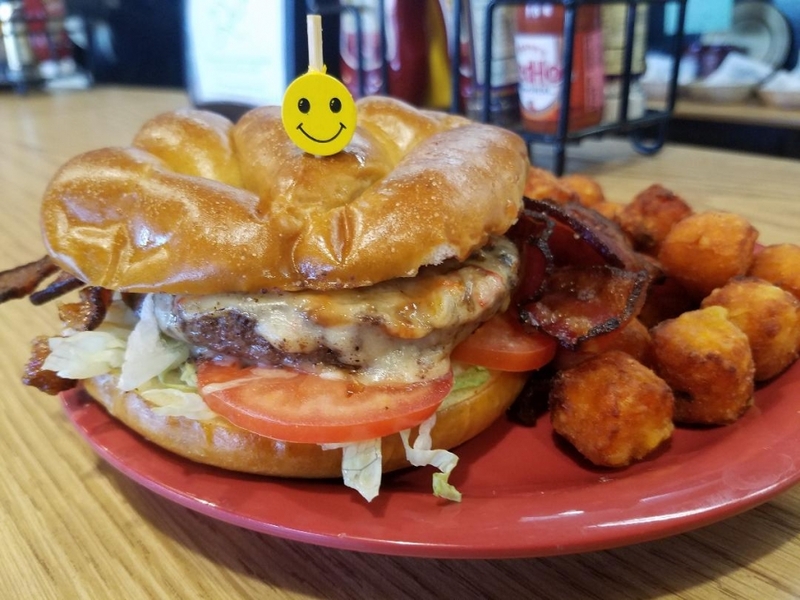 Our grilled hamburger on a pretzel bun topped with Peppadew Cheddar cheese, bacon, lettuce, tomato, Mad Sweet Heat Candied Jalapenos and BBQ sauce with a side of sweet potato tater tots tossed in butter, cinnamon and sugar for $9.50. Our soups are the Chicken Tortilla, California Medley, Tomato Tortellini, Spicy Chili along with our famous trio of Chicken Noodle, Lobster Bisque and Chili. Have a terrific day Dayton!